Discussion in 'Game Design' started by ERNESTINE, May 30, 2017. We are an indie studio called Ernestine, and we make video games, serious games and trans-media content. 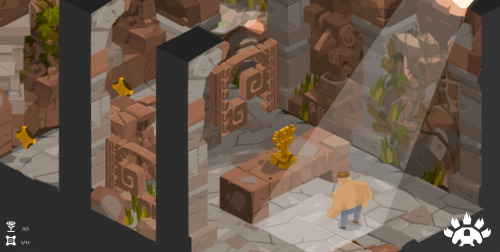 Use Monsieur PAF’s brain and fists to solve the riddles of the ancestral temples and free the isolated villagers from the curse that the Museology Multinational has triggered! 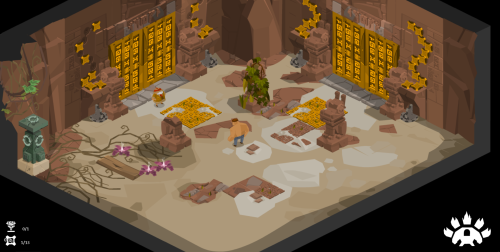 An Interesting Journey of Monsieur PAF is a isometric puzzle platform video game. This action/adventure comedy involves a indestructible hero, and presents itself like a thinking game mixed with a good amount of muscles. 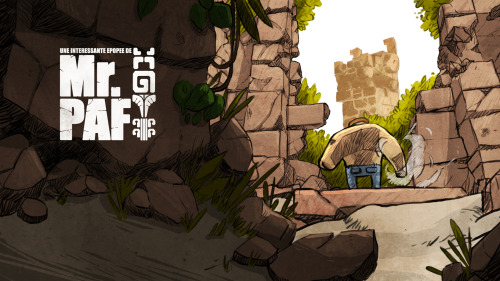 As a first step, the game will be available on PC and MAC. The game experience being better with controllers, we are thinking about a home consoles version. 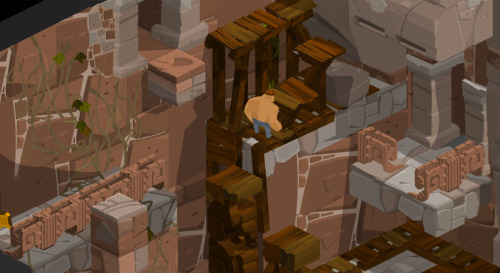 The game design’s mechanics are sokoban-like, and are complemented by platformers games which allows us an isometric multi-storey construction. 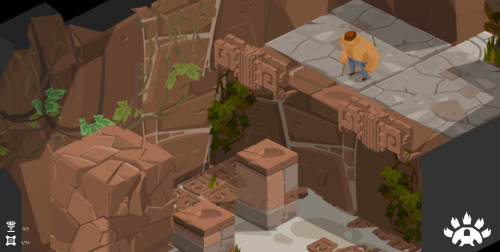 In summary, the player has to push blocks in a maze to pull away or find a way out. This is a short gameplay video from the first demo of the game !